There’s a reason the old saying “a picture is worth a thousand words” has been around as long as it has. There are some pictures that seem to have a story attached to them, even if you don’t know where they came from. These are pictures that can make you happy, or make you sad or they’re just something that will evoke a feeling of true awe and wonder. Some of them will just straight up shock you, because they show a piece of our history and our everyday life we didn’t know actually existed. Check out our 10 shocking photos from history that you’ve never seen before and let us know what you think below. There’s no telling what people are willing to do in the name of science. 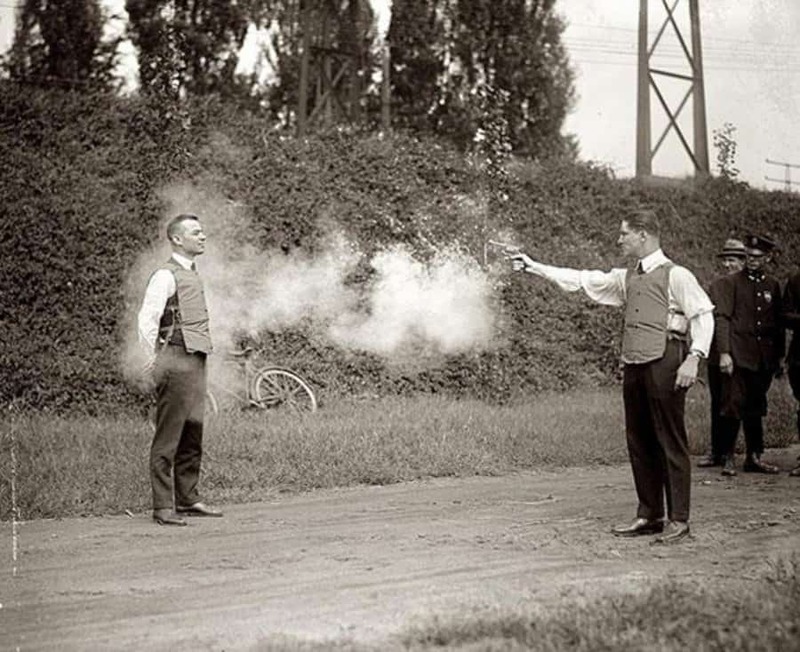 Such is the case with the man who put on this early version of a bullet proof vest and had his friend shoot him. 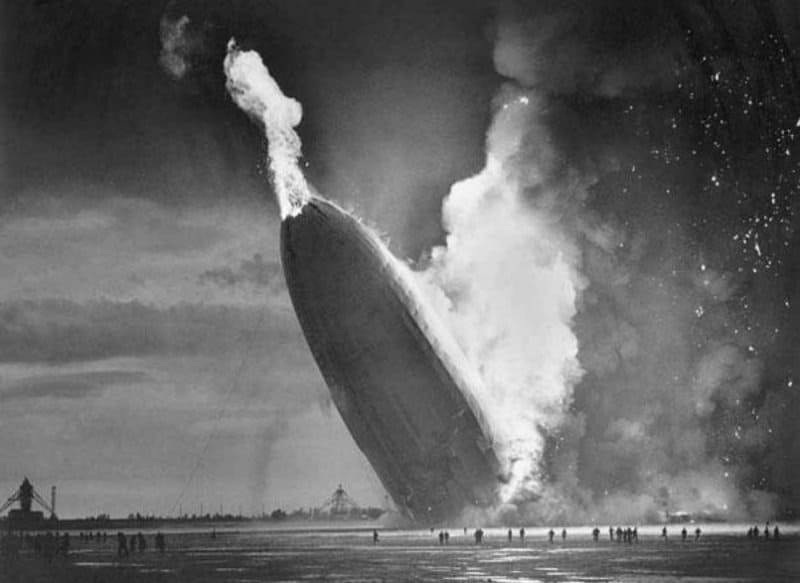 There have been a number of pictures of the zeppelin on fire but this picture, of it actually hitting the ground, is quite a bit more rare. 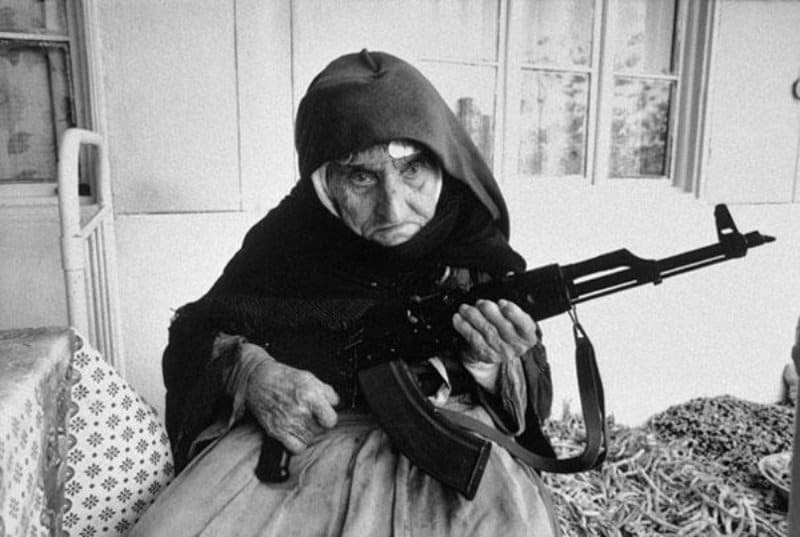 This picture was taken in Armenia in 1990. The 106-year-old woman was protecting her house against suspected intruders. 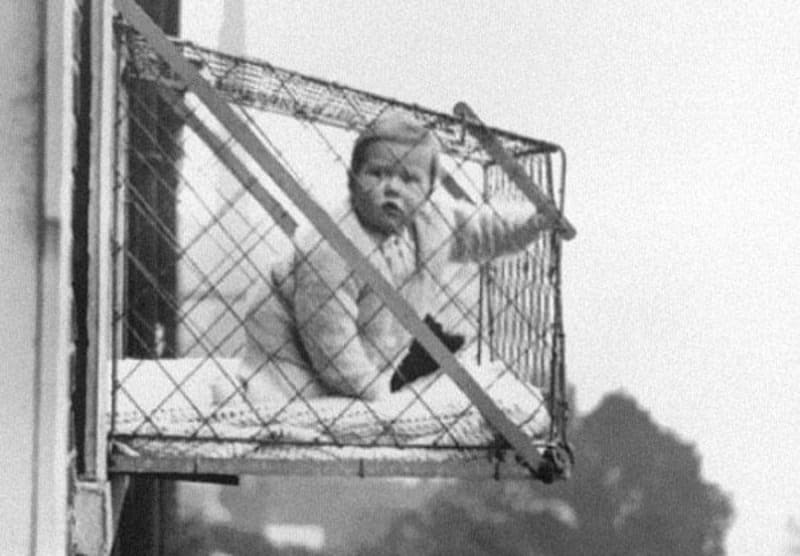 In the 1930’s people in big cities like New York City, who lived in massive high rises used these cages in order to make sure their babies got more sun and outdoor exposure. We’re not surprised this practice has been put to an end. This picture was taken back in 1961. 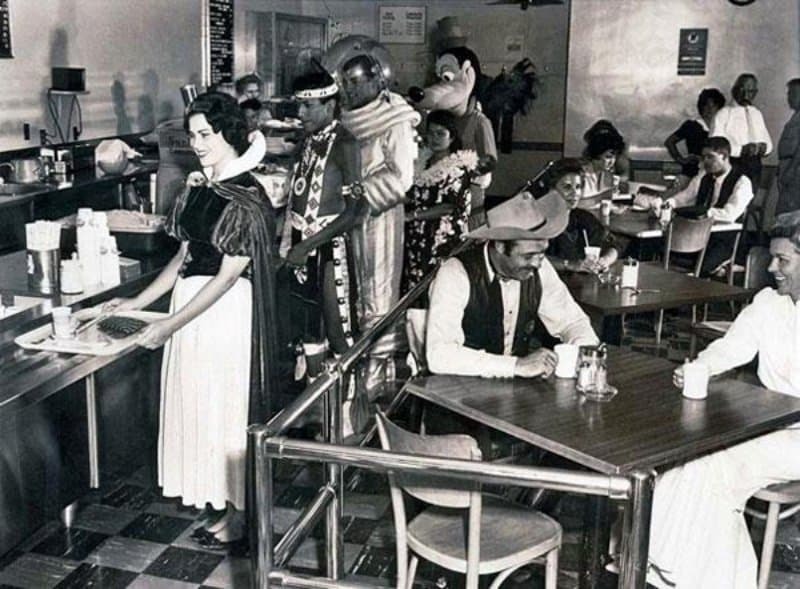 While this scene is crazy enough, we can’t even imagine how nutty the Disney Employee cafeteria is these days, with all the new characters and how much the park has grown. This particular sign was erected back during World War II. 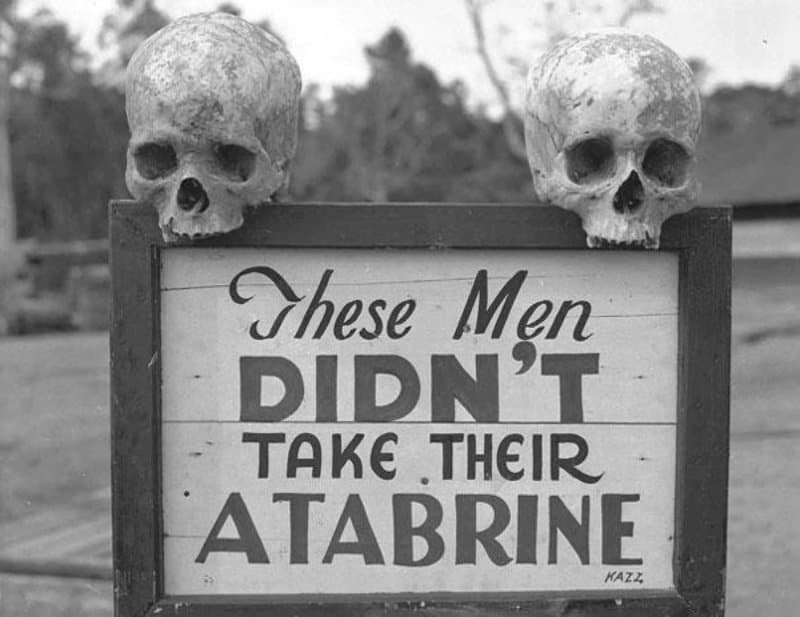 Atabrine was an anti-malaria drug and clearly someone really wanted everyone who could get access to the drug, to actually take the drug. 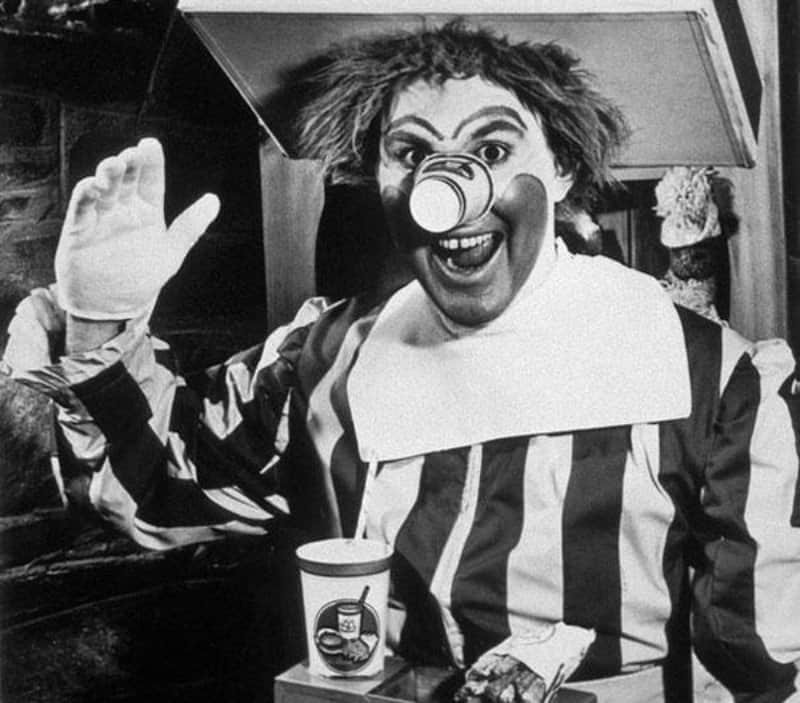 If you thought the Ronald McDonald of our generation is a bit creepy, get a load of the original version. This guy was the spokesman for McDonald’s back in 1963. You’re welcome for the nightmares! 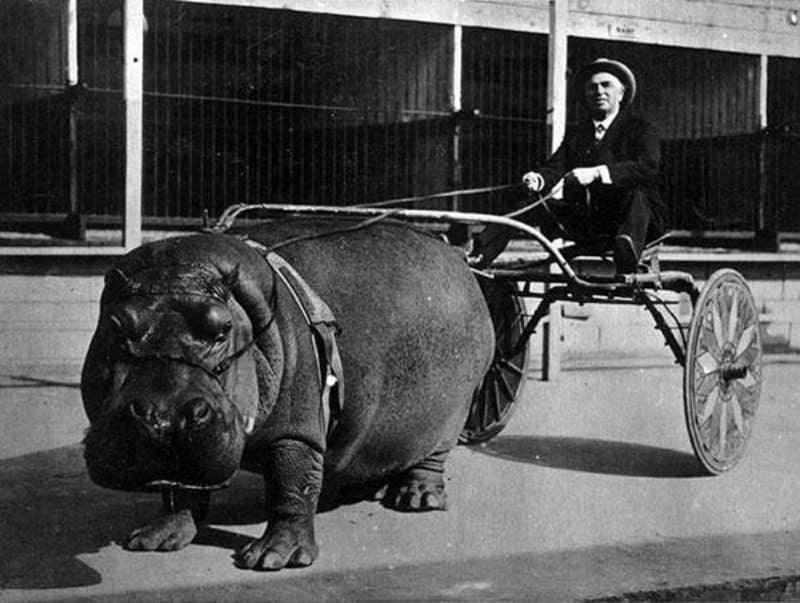 Who needs a horse to pull a carriage when you can get a hippo? Obviously you lose some speed, but you make up for it in power and badassery. We remember the legendary actor from his days when he was coming close to middle age. 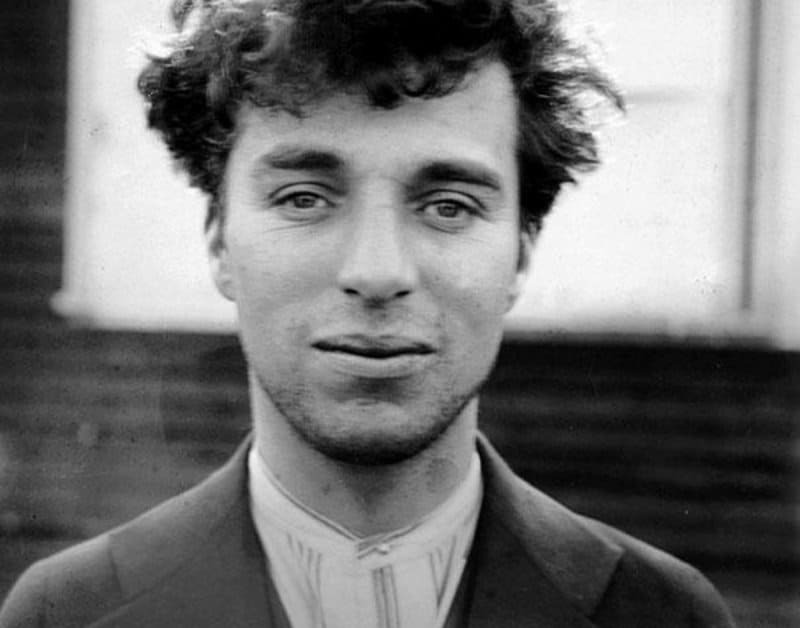 This picture of the comedian was taken in 1916 when he was just 27 years old. There have certainly been times in our collective histories where people just didn’t feel safe being out and about without some extreme protection. 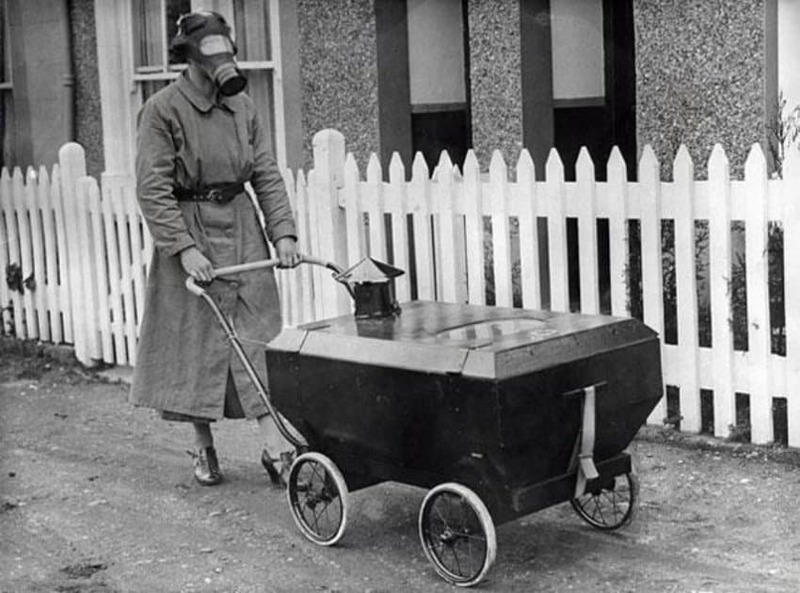 This picture of a woman walking down the street, wearing a gas mask and pushing her baby in a gas proof carriage shows just how much fear we’ve felt at different times.